While I was a Ph.D. student at UC Berkeley, I organized a student reading group on ‘classic’ papers in astronomy, astrophysics, and cosmology, focused mostly on cosmological structure formation and galaxy formation. These are the papers that we found particularly insightful and didactic. Disclaimer: while this list has high purity, it is nowhere near having high completeness! Derivation of the Sachs-Wolfe effect. Original treatment of halo bias and the peak-background split. Original treatment of redshift space distortions. How galaxy clusters can constrain σ_8 and evidence for Ω_m ≠ 1. How to convert from a linear to a non-linear power spectrum, with fits. How to measure the linear power spectrum from observations (reversing the above paper). Comprehensive and didactic treatment of halo bias. Original treatments of the halo model. Redshift-space distortions and the halo model. Succinct treatment of the halo model and scale-dependent bias. How to analyze redshift-space distortions in the context of the halo model. Original ‘derivation’ of the halo mass function. Much is incorrect (see later papers), but this sets the stage. Analytic treatment of the formation of halos and their density profiles. First paper to extend/correct Press-Schechter to include halo formation histories. An early ‘extended’ Press-Schechter model, focusing on halo mergers. Insightful and didactic treatment of halo assembly bias. How the excursion set formalism fails. The ‘full’ formation history of halos, starting with the first ones to collapse. Theoretical analysis of baryons in the warm/hot intergalactic medium. Using the Lyman-alpha forest to constrain the early IGM. Comprehensive review of 21 cm cosmology. Comprehensive review of the physics of the IGM. Early evidence via stellar orbits for Milky Way formation via gravitational collapse. On the origin of angular momentum of halos/galaxies. How gas cooling governs galaxy masses and sizes. Early monolithic collapse model for galaxy formation. First paper to point out the likely connection between ULIRGs and quasars. Analytic halo formation histories with gas dynamics, with implications for the first galaxies. 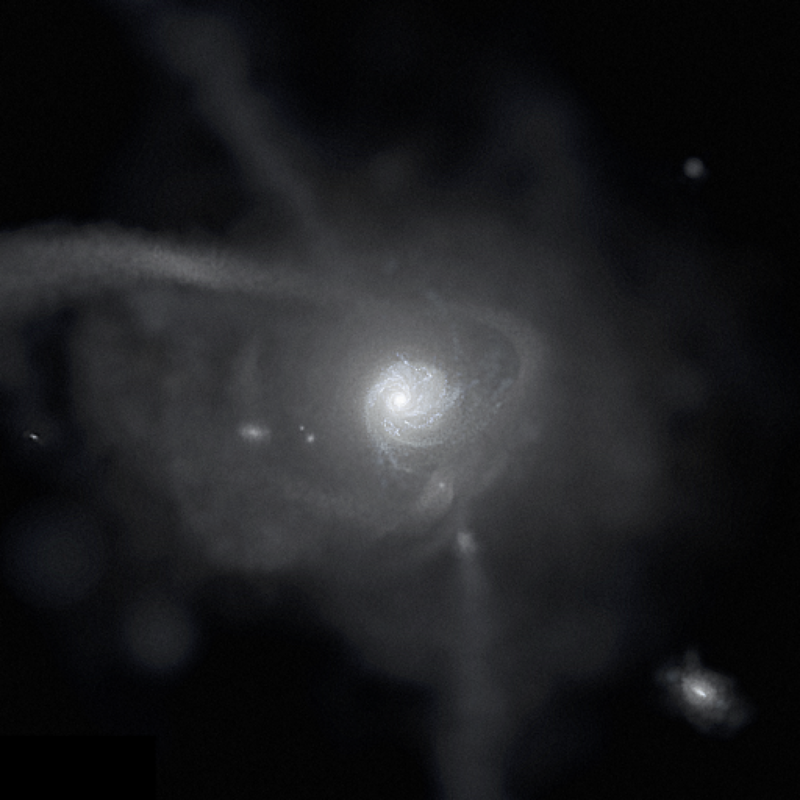 Angular momentum build-up of disk galaxies. Overview of the ‘fundamental manifold’ on which galaxies lie, and how to think about galaxy structure. How the baryon content of galaxy clusters suggests that Ω_m ≠ 1. What weak lensing can do for you. Also a nice treatment of the halo model. How to use weak lensing to measure stacked galaxy cluster masses and density profiles. Overview of BAO physics, measurements, and prospects. Overview of much of the physics that the CMB can constrain. Overview of BBN physics, how to get cosmological constraints, and observations. Addresses many of the issues surrounding primordial non-Gaussianity.